Canon EOS M10 X Rilakkuma | Do more with your #ToyTravel! Are you part of the Nui-Dori trend? I do see some of my friends who travel alone, accompanied with their toy! ToyTravel is a trending way to travel, and Canon is partnering with the much-loved Rilakkuma! It inspire creativity among social media users and avid, big fans of travelers and photographers alike. Interestingly, you can now have Rilakkuma as your next travelling companion with Canon’s special edition EOS M10 box set, bundled with a limited edition 24cm Rilakkuma plush toy! Like the one I have (ok, maybe mine is slightly bigger! Took it at event...)! The Canon EOS M10 X Rilakkuma is your next big travel buddy! So if you might be interested to know what exactly is ToyTravel, it is the art of photography where toys imitate life. 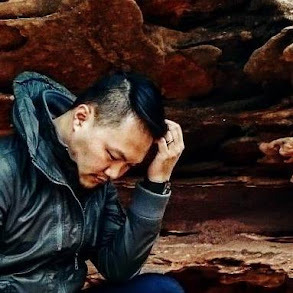 It’s common for social media users to inject creativity and fun into their everyday adventures with a preferred animated object – from a figurine in a bowl of cereal, to a stuffed toy strapped into an airline seat; the possibilities are endless. Now with the Canon EOS M10, they are empowered to share stories of their travels and adventures through high quality photos. 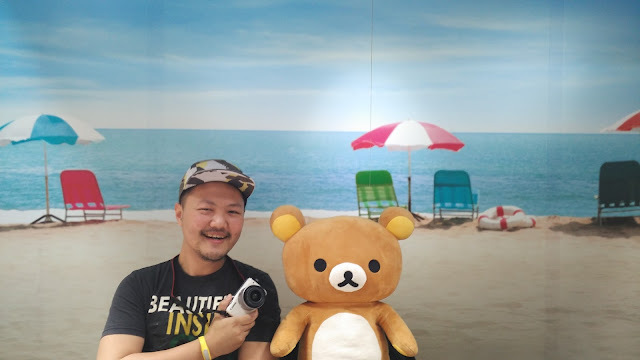 Combining Rilakkuma, a popular character, with Canon EOS M10, the lightest camera in the compact series, we hope to bring ToyTravel to every fun-loving social media user and photographer out there and make their next travel adventure a more memorable one. With the sleek and chic EOS M10, users will be able to capture superior quality photos and videos for sharing on social media platforms. The all-new Canon EOS M10 X Rilakkuma! Credit to Anis for taking this shot for me! The EOS M10 is the newest addition to Canon’s EOS M range of high performance mirrorless interchangeable-lens cameras. As the most compact and lightweight in the series, EOS M10 is the perfect camera to bring along on all types of adventures! With its large 18.0-megapixel APS-C sensor and fast Hybrid CMOS AF II system, users can now capture excellent quality photos of spontaneous moments with no more missed opportunities. Macam jumpa kawan lama! LOL! Designed for perfect selfies, the Self Portrait mode features a one-touch beautification shortcut that offers a skin smoothing effect. Its Wi-Fi feature also allows seamless sharing on multiple social media platforms. With optional jackets (sold separately) in a range of striking colours such as classic Navy, a sweet hue of Pink, whimsical Aqua and monochrome Border, you can now style and customise the camera according to your personalities. Oh well, you can see we are such a FUN bunch of bloggers! 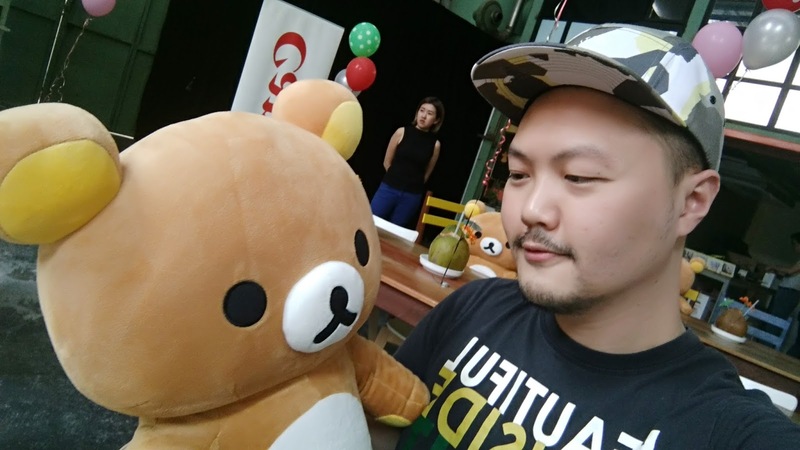 Rilakkuma appeared at the launch! So cute! One final shot with Rilakkuma! 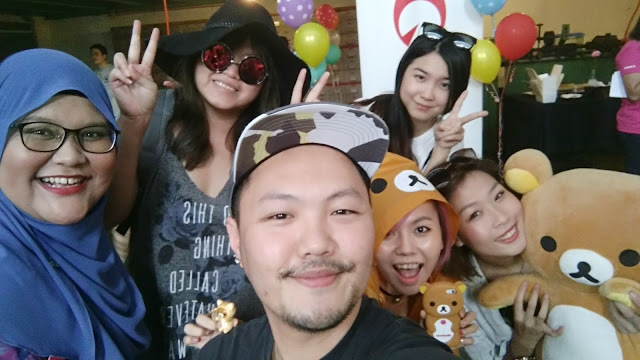 Jom pergi holiday and lepak dengan Rilakkuma! Need to get more shots with the new Canon EOS M10! And here's some TVC for you to see how cute is Rilakkuma and why you should get it as your travel buddy! So yes, if you are keen, better get the limited version box set FAST! There will be a total of three themes for this contest and you will have one month to capture the perfect ToyTravel photo for each theme. Deadline extended to 8th July! #ToyTravel Challenge 2 theme released! Chillout Activity is the theme! The first theme was announced on 6th of June and the first winner will be revealed at the end of the month. For more details, please visit this site. *Promo valid for a limited time only. Availability differs according to your country so check out your local retail outlet for more information! T&C here.